Hematopoietic stem cells (HSCs) are another type of cell we are utilizing. These cells are found in bone marrow, fat and circulating in the blood. They produce blood cells (white and red blood cells), blood vessels, and also help guide tissue regeneration by helping direct other cells to accomplish repair. Think of blood vessels as a supply line and stem cells as an army. An army will cease to exist without a supply line. HSCs are true workers with an added bonus that they can also morph into other types of cell in a process called plasticity. HSCs are more powerful drivers of tissue regeneration than mesenchymal stem cells and, unlike mesenchymal stem cells (in the marrow), the number of hematopoietic stem cells does not diminish greatly with age. HSC’s can renew themselves and differentiate to a range of specialized cells within the hematopoietic lineage. HSC transplantation has been used to treat a variety of blood‐related conditions, including destruction of cancerous hematopoietic cells, inherited anemia, and autoimmune diseases. In scientific circles HSCs are also called CD 34+ stem cells. The name, “CD34+”, refers to a marker on the cell surface. 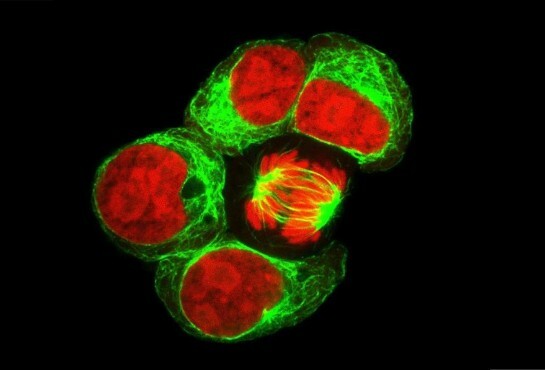 These cells have both long and short-term regeneration capacities. One use we have for them is to increase the number of CD34+ stem cells in the circulation, thereby increasing the body’s repair potential. There are various ways to increase the number of HSCs. One way is through hyperbaric treatments where you enter an oxygenated pressure chamber for an hour or so, set at around 2 atmospheres. Hyperbaric oxygen precipitates the release of nitric oxide (NO) [not to be confused with nitrous oxide (N2O), also known as laughing gas]. We know from the work of Dr. Thom from the University of Pennsylvania that NO is a potent stimulator of stem cell release from bone marrow that in turn causes the formation of blood vessels in a process called angiogenesis. Another way to increase the number of HSCs is through supplements that cause the release of nitric oxide that again stimulates stem cell release from bone marrow. In turn, HSCs up-regulate the release of growth factors. As with most supplements, some are good, other less so. We have done our homework and know those that are the most effective. Nitric oxide improves the efficacy of both PRP and stem cell treatments. Since there is a hyperbaric facility in our building, many patients choose to opt for a course both of hyperbaric treatments and supplements before and after a treatment. Depending on what is being treated, we utilize a number of different stem cells and other regenerative cells when performing our procedures. Through the use of plasticity mentioned above, we may go from a stem cell that ostensibly produces blood cells to one that produces cartilage or tendon tissue. When we perform a bone marrow aspiration, we obtain a rich source of HSCs. Our clinic utilizes a special way to obtain bone marrow that significantly increases the numbers of cells. Furthermore, we have developed a technique that avoids having to centrifuge the bone marrow aspirate. When you do not need to centrifuge you do not throw anything away. We now know that the primary engine of new bone and cartilage formation in-vivo (real life) is through the recruitment and differentiation of cells classically defined as hematopoietic in origin. Bottom line, hematopoietic stem cells are an important weapon in our armory of treatments.